The high school yearbooks of former Texas congressman Robert Francis O'Rourke make no mention of him as "Beto," the nickname he says "just stuck" with him ever since he was growing up. O'Rourke used his space in the yearbook to print the lyrics from "Hidden Wheel," a song about being the "angry son" by Rites of Spring. He considers himself a big fan of the emo punk band. I'm the angry son, I'm the angry son." O'Rourke's writing as a student was done for The Talon, a "publication of student standouts in art, poetry, prose, and photography." 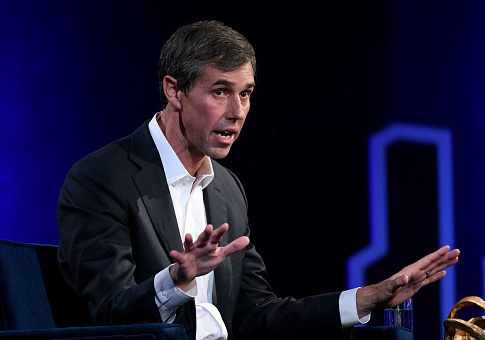 O'Rourke was also a member during both his junior and senior year of the Algonquin Society, which met to "discuss magazine articles in such magazines as the New Yorker, Harper's, and The New Republic." It is in the space reserved for pictures of different groups that the Confederate flags can be found. 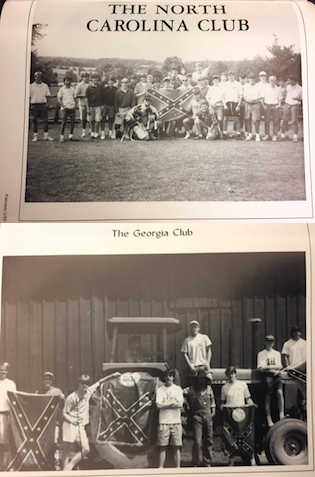 Both the North Carolina Club and the Georgia Club (the school boasts a student body from states across the country) chose to feature the "Stars and Bars" in their yearbook submissions. Pictures of the clubs in the previous year, when O'Rourke was also enrolled, similarly feature the flag. There was also a Texas Club at the school, but O'Rourke does not appear to have been a member. 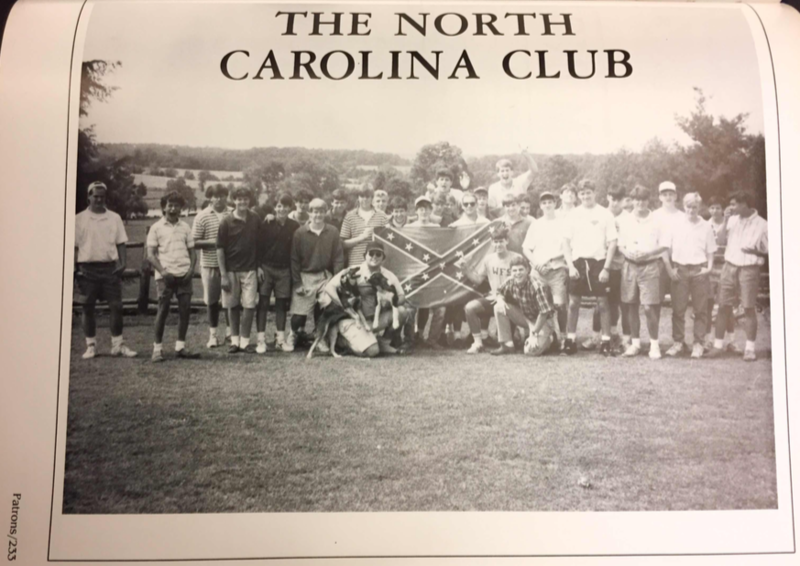 The Texas Club did not showcase any Confederate flags in its yearbook entry. 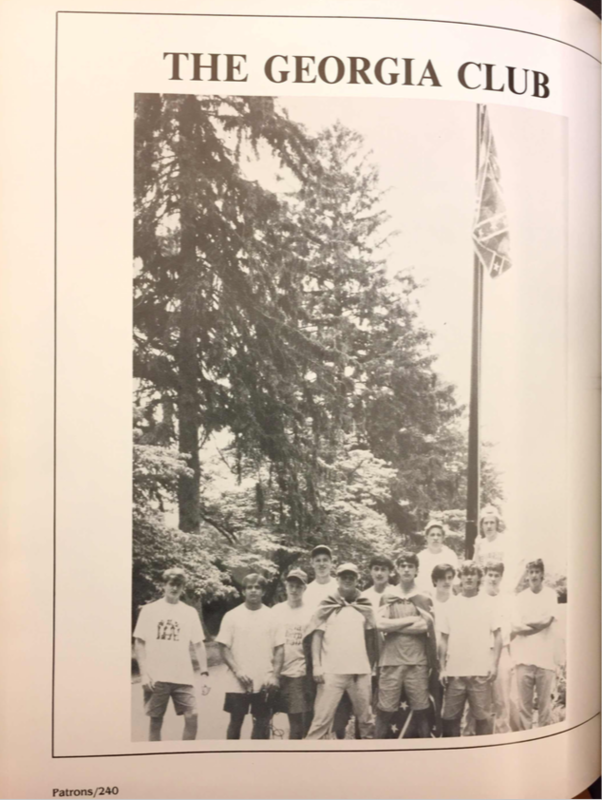 In a light-hearted section of the yearbook predicting where members of the senior class would be "twenty years from now," the prediction for O'Rourke is that he'd be a "straight edge leader," a reference to a subsection of the punk rock genre that wanted to move away from heavy alcohol and drug use. Instead, 20 years after graduating from Woodberry Forest, O'Rourke wound up being a member of the El Paso city council, plotting a run for Congress as a Democrat. He ran to represent Texas in the U.S. Senate in 2018, but lost to Republican Sen. Ted Cruz. O'Rourke is now considering a run for president, but is struggling to find direction in his life as he plots what to do, the New York Times reports. This entry was posted in Politics and tagged 2020 Election, Beto O'Rourke, Texas, Virginia. Bookmark the permalink.